And as our space telescopes and other instruments grow ever more sensitive, we're beginning to zero in. The discoveries so far inspire excitement and curiosity among scientists and the public. We've found rocky planets in Earth's size range, at the right distance from their parent stars to harbor liquid water. While these characteristics don't guarantee a habitable world – we can't quite tell yet if these planets really do possess atmospheres or oceans – they can help point us in the right direction. Future space telescopes will be able to analyze the light from some of these planets, searching for water or a mixture of gases that resembles our own atmosphere. We will gain a better understanding of temperatures on the surface. As we continue checking off items on the habitability list, we'll draw closer and closer to finding a world bearing recognizable signs of life. Among the most critical factors in the shaping and development of a habitable planet is the nature of its parent star. The star's mass, size and age determine the distance and extent of its "habitable zone" – the region around a star where the temperature potentially allows for liquid water to pool on a planet's surface. The European Space Agency's Gaia satellite, launched in 2013, is becoming one of history's greatest star mappers. It relies on a suite of high-precision instruments to measure star brightness, distance, and composition. The ambitious goal is to create a three-dimensional map of our Milky Way galaxy. The chart so far includes the positions of about 1.7 billion stars, with distances for about 1.3 billion. It turns out that many of the stars were found to be brighter – and larger – than previous surveys estimated. For the team managing the explosion of planet finds from NASA's Kepler space telescope, beginning in 2009, that also means a revision of sizes for the planets in orbit around them. If a star is brighter than we thought, it's often larger than we thought as well. The planet in orbit around it, measured proportionally by the transit method, must also be larger. That means some of the planets thought to be of a size and temperature similar to Earth's are really bigger – and usually, hotter. "Gaia has improved distances and has improved assessments of how bright a star is, and how big a planet is," said Eric Mamajek, the deputy program chief scientist for NASA's Exoplanet Exploration Program. "The whole issue has always been, how well do we understand the star? This is just another chapter of that ongoing story." The latest scientific data from the Gaia space probe also is prompting a reassessment of the most promising "habitable zone" planets found by observatories around the world, as well as space-based instruments like NASA's Kepler. As scientists iron out both observations and definitions of what we consider a potentially habitable world, better data is bringing us closer to finding such a planet and – maybe just as important – finding our own planet's place among them. The most recent analysis of Kepler's discoveries shows that 20 to 50 percent of the stars in the sky are likely to have small, potentially rocky planets in their habitable zones. Our initial estimate of near Earth-sized, habitable-zone planets from the Kepler spacecraft as of June 19, 2017, was 30. 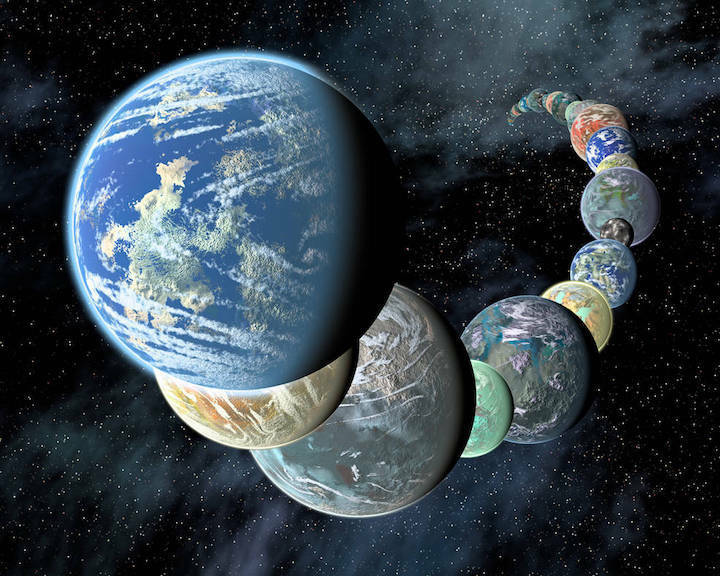 Preliminary analysis of newer data, on both those exoplanets and their host stars, shows that the number is likely smaller – possibly between 2 and 12. Much more data are needed, including a better understanding of how a planet's size relates to its composition. "We're still trying to figure out how big a planet can be and still be rocky," said Jessie Dotson, an astrophysicist at NASA's Ames Research Center in California's Silicon Valley. She is also the project scientist for Kepler's current, extended mission, known as K2. At first glance, the latest analysis might seem disappointing: fewer rocky, potentially habitable worlds among the thousands of exoplanets found so far. But that doesn't change one of the most astonishing conclusions after more than 20 years of observation: Planets in the habitable zone are common. "This is the exciting part of science," Dotson said. "So often, we're really portrayed as, 'Now we know this story.' But I have a theory: Scientists love it when we don't know something. It's the hunt that's so exciting."